Law enforcement officers commonly use Taser guns. They are meant to give off an electric charge that’s used to subdue a potential suspect. Although the charge is thought not to be fatal, they are still highly controversial weapons. Like all other types of weapons, taser guns have pros and cons. Police and military officers use taser guns to shock an adversary into submission by temporarily halting their movement, usually done in self-defense. When a person is tased, they will fall to the ground or floor from a standing position. These weapons can be used up to 35 feet. Police officers usually carry a few different weapons, depending on the requirements of the state. Alternatively to Tasers, officers many use batons as a weapon of defense. Of course, an officer pulling out a Taser is better than an officer pulling out a gun, which is more likely to end in a deadly situation. The company that manufactures these weapons, Taser Corporation, claims that the force they emit is “neuromuscular incapacitation.” They are meant to subdue aggressive suspects who may be a danger to others as well as themselves. They are a useful means of apprehending someone without killing them. On the other hand, there are those who have physical conditions and may be extremely damaged by the effects of the taser. Anyone who is pregnant or has a heart condition, for example, will undoubtedly suffer severe consequences. There are many critics of taser guns who call them “torture devices.” Often, when a victim is struck with the electrical shock from one of the weapons, they scream and twitch. The United Nations Committee Against Torture is a vocal advocate against the use of the devices and has ruled that taser guns cause violent pain in victims. Taser guns have led to many deaths around the world each year. These deaths are labeled “accidental” because the weapons are not meant to kill. However, two cardiologists at the University of California, San Francisco, believe that when death occurs, it’s because the weapon was aimed too close to the heart, resulting in cardiac arrest. Taser guns are controversial devices. There have been measures taken to ban them from many cities and countries. Tasers bring about a level of controversy because law enforcement or military officers are first required to assess whether a person is a threat, and about how much force should be used to subdue them. 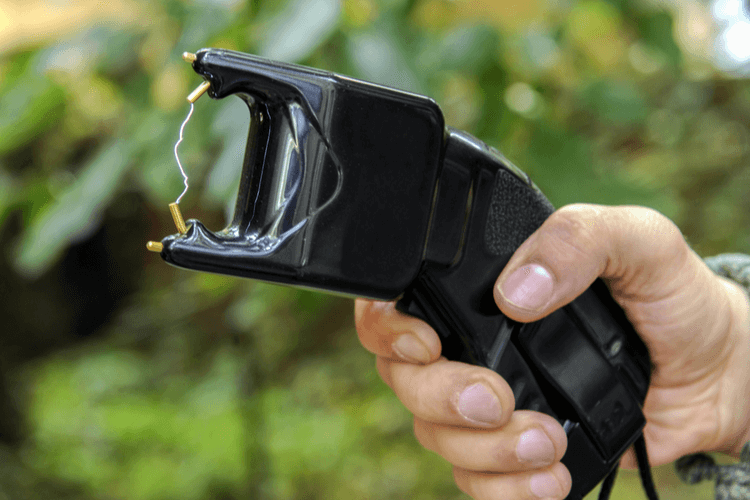 The debate about whether the use of Tasers is right or not can be highly controversial. If you believe you were a victim of police brutality or misconduct by use of a Taser, seek legal counsel. Michigan Legal Center can answer any question you have regarding civil rights violations and law enforcement. We can determine whether or not you have a legal case and take the appropriate next steps with you. Contact us at (800) 961-8477 for a free case evaluation. Previous post Valuing Your Personal Injury Case Next post How Does a Michigan Auto Accident Lawyer Deal With An Unfavorable Police Report?